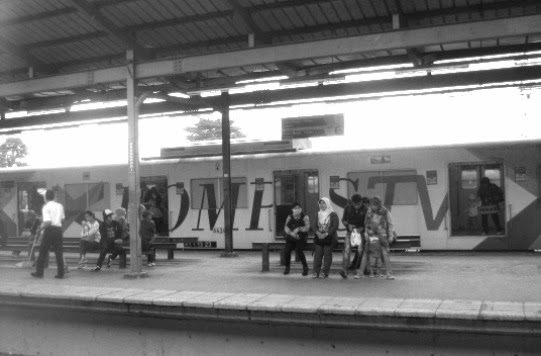 Manggarai is the name of this railway station. Captured in one afternoon of weekdays; the station wasn’t full of people. 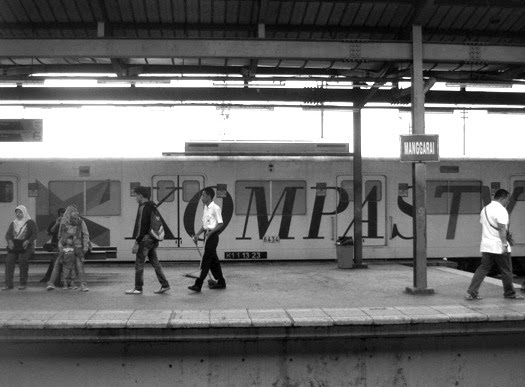 I was pulled in the big letters on the carriage –Kompas TV is one of national television stations here. An interesting scene. I like the second photo, maybe because the contrast is stronger. Tricky lighting. Looks restless as befits the subject. Great capture in black and white.